There are many people who do not want to visit a web designing company when they want to design a new website for their business. Sometimes, people might even want to stick with their old website even though it looks like ancient product compared to today’s website. 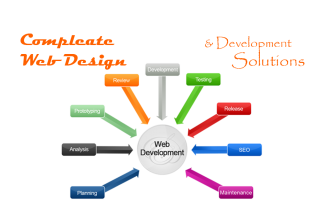 If you fall in these two categories then it is time to get a new website and hire a web development services for that job. It is no time to think whether you should choose this path or not because having a modern and attractive website in today’s world can take your business to a whole new level. So, how do you exactly know your website is not up to the point or whether you should hire a new web designer? Here is how you will know that. There used to be time when backgrounds with image and contrast color used to be in trend. Unfortunately, that trend has long passed away. If you use backgrounds that tend to distract users from the main point of website then that website is of no use. The users’ mind will be diverted from the right information that the user should get. If you website has distracting backgrounds or the backgrounds that hides contents then pick up your telephone and contact a Web Development Company in India. Flash used to be high in trend in the past. It was amazing to see banners flying around, information moving slowly and so on. But, now-a-days people find such flash animations irritating and time waster. So, if you currently have website where important information comes to display slowly through flash animation then it is time to change your website because you don’t want users to get angry at the slow display of your information. 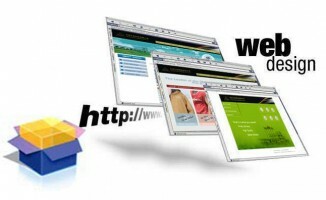 Many website owners might think that people love to hear music when they are using website. Well, just imagine this if you are too much focused on the website that you are seeing and all of sudden a weird and sudden music starts to get played. This can give a fright to many people. It is the same with loud, irritating or boring music being played when using the website. Many people notice the color of the website when they first see it. So, the wrong choice of the website can be the downfall of the business and the website itself. The color of the website must fit the users’ personality and style. If your website has contrast color, too bright color or similar contrast color then look for a new web designing company.